The most effective way to reduce the frequency of conflict in your relationship is to build goodwill and positive sentiment; put simply, by having a good friendship. It’s very likely you have had a good friendship somewhere in the course of your relationship, so if it has faded recently, there are lots of ways to get it back. One of the most effective ways is by getting into the habit of responding to your partner. By that I mean something as simple as answering “yes”, or “uh huh”, or “that’s right”. The frequency with which you respond to your partner (or not) is an extremely strong predictor of how successful your relationship will be. In fact, newlyweds still married after 6 years have been found to respond to their partner 86% of the time. Newlyweds divorced within 6 years however, have been found to respond to their partner 33% of the time. That’s because providing no (or limited) responses results in your partner initiating less interaction in the future and causes couples to drift apart (which is the number one reason for separation). Responses can be positive, negative or neutral. Obviously, negative responses that are short, aggressive or critical are more likely to leave lasting bruises on the relationship; and no responses or disinterested responses will probably leave your partner feeling ignored and unvalued. Increase Trust– in fact this is one of the key skills to repairing trust if it has been broken. Establish emotional safety– it will increase your partner’s comfort level around you, and reduce stress in the relationship. Reduce the frequency of conflict – over time, stress and tension are reduced, and you and your partner are less likely to react to the things that typical trigger conflict in your relationship. Strengthen your friendship– responding to your partner generates goodwill and promotes friendship. and that you accept them (even if you don’t accept all their behaviour). Couples often ask me in my Sydney Eastern Suburbs practice whether something this simple can make a real difference in their relationship. 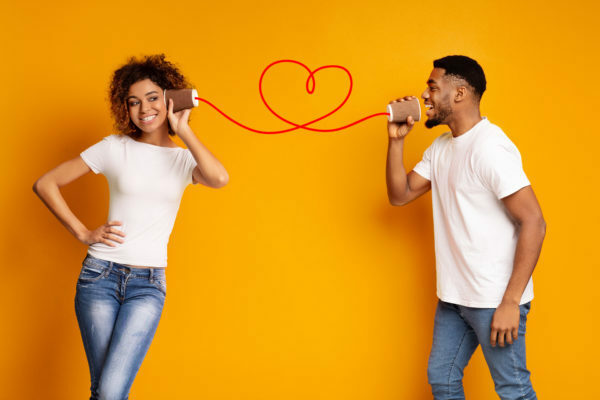 Regularly responding to your partner in a warm and interested way is one of the best ways to build a foundational friendship with your partner that will ultimately create a long lasting a happy relationship. If you and your partner feel distant or are lacking the friendship you used to enjoy, a Couples Counsellor can help you develop the skills to improve your friendship and your relationship.